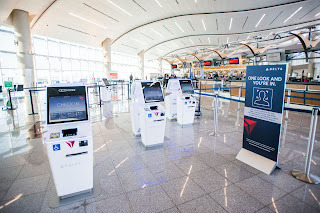 Delta Air Lines, in partnership with U.S. Customs and Border Protection (CBP), Hartsfield-Jackson Atlanta International Airport (ATL) and the Transportation Security Administration (TSA) have unveiled the first biometric terminal in the United States at Maynard H. Jackson International Terminal (Terminal F) in Atlanta, as announced earlier this autumn. Touchpoints throughout the terminal in Atlanta started coming online in mid-October – nearly all 25,000 customers who travel through ATL Terminal F each week are choosing this optional process, with less than 2 percent opting out. And, based on initial data, the facial recognition option is saving an average of two seconds for each customer at boarding, or nine minutes when boarding a widebody aircraft. On the heels of the successful rollout in Atlanta, Delta, in partnership with CBP and the Wayne County Airport Authority will expand the facial recognition boarding test that started in July, which was the first of its kind for the airport, to all 14 international gates at McNamara Terminal in the Detroit Metropolitan Airport (DTW) by mid-December. 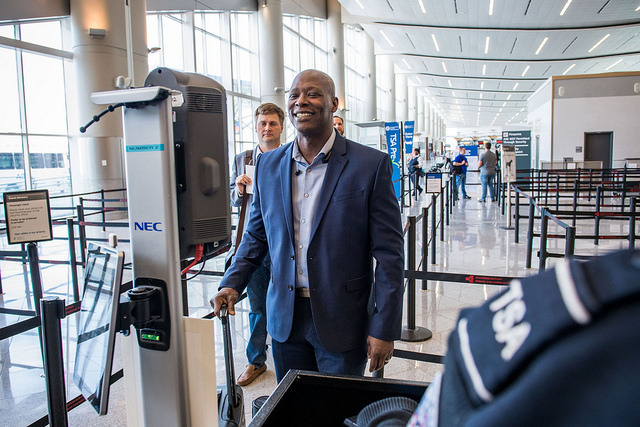 With this move, any customer flying direct to an international destination from DTW will also have the option of using facial recognition technology at boarding. In 2019, Delta will roll out facial recognition technology at DTW from curb to gate for its customers. 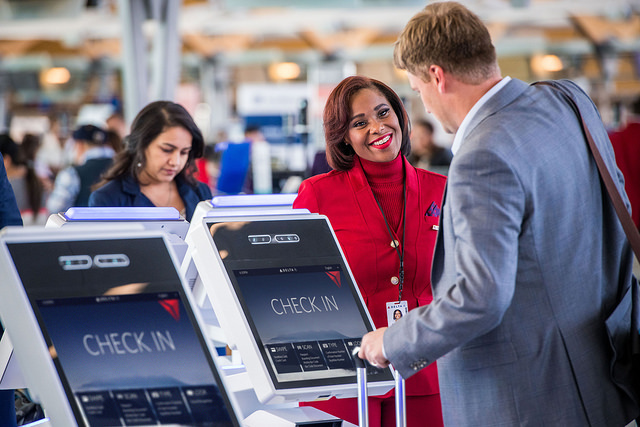 The expansion of the facial recognition option with Delta Biometrics is a natural next step following CBP and Delta’s optional facial recognition boarding tests at ATL, DTW and John F. Kennedy International Airport over the past several years. In addition, Delta recently tested a self-service biometric bag drop at Minneapolis-Saint Paul International Airport for international customers. Delta has also tested biometric boarding at Ronald Reagan Washington National Airport, and has launched optional biometric check-in for all domestic Delta Sky Clubs, facilitated by Delta Biometrics. Over the past several years, Delta has led the industry on a number of customer solutions like RFID baggage handling, automatic check-in and bag tracking via the Fly Delta mobile app, a cross-industry alliance that will empower customers with a seamless in-cabin connectivity experience, more efficient and high-tech automated screening lanes, and a groundbreaking app that helps Delta pilots avoid turbulence for a more comfortable flight. Delta was named one of Fast Company’s Most Innovative Companies Worldwide in 2018, earning the No. 6 spot among travel companies.